Asus has came up with the new streamline of Android smartphone series with Dual-Lenses camera setup. This new series tagged as Zenfone 4. Zenfone 4 Selfie as the name suggest have excellent front and rear camera setup for clicking amazing selfies. In this article we will focus on things you must know about this device. Basically we will be focusing on camera aspect of this device. Front cameras have come a long way than being just a mere video phone camera with pixelated experience. 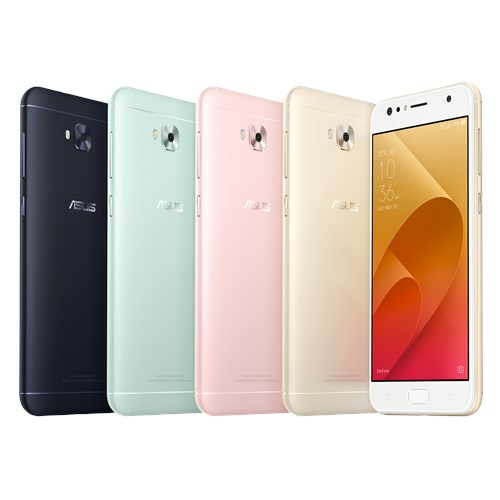 For the changing times, ASUS brings you the new Zenfone 4 Selfie, sporting high-resolution 13MP cameras on the front and the back. For Superb wide-angle selfies featuring more than just yourself is the Selfie Panorama mode, that lets you capture 140-degree wide Selfies. Camera of Zenfone 4 Selfie Electronic Image Stabilization (EIS) for steady videos. Both the cameras sport the Portrait Mode, that lets you shoot compelling Photos with Bokeh effect. The ZenFone 4 Selﬁe is ideal for taking great self-portrait photos ‘selﬁes’ and ‘weﬁes’ with its high-resolution and high-performance front Selﬁe Camera. On the front is a high-resolution 13MP ƒ/2.0 Camera that is ideal for large group self-portrait photos as well as selfies against vast landscapes. For Low-light conditions, the ZenFone Selfie also features a front LED Soft-light to gently illuminate users face. The ZenFone 4 Selfie features called the Selfie Panorama mode, with it the ZenFone 4 Selfie is more than capable enough to take Wide angle selfies that include you, your friends. The portrait mode on the ZenFone 4 Selfie automatically creates amazing looking portrait photos of subjects against an artistically blurred background. Portrait mode can be easily activated by pressing the portrait icon button from the main interface. For users who love taking selfies and portraits, the Beauty Mode automatically enhances the subject’s face with makeup-like effects including skin softening and brightening, blush and color correction, eye enhancement and even cheek-thinning. The effects can be set to varying degrees and viewed in real time before saving as a photo. The effects can also be used together with portrait mode. The mode also has a convenient, auto setting that applies these beautification effects automatically at the discretion of the smartphone. Allows the 10-level beautification option beautification video to be streamed live to Facebook, Instagram, YouTube and other popular livestream video social media platforms. With the ZenFone 4 Selfie’s Super Resolution Mode, users can create an ultra-high resolution, 52-megapixel photo. It achieves this by using special image-processing techniques to capture and combine four 13MP photos to create a much larger single image with greater detail and less noise. This high resolution photo has the advantage of appearing clearer on higher resolution monitors, or when printed on larger format photo media A4 sized or larger. Animated GIF images are simple animations composed of a repeating loop of sequential images. They are super easy and fun to create using the GIF Animation Mode. Simply shoot your subject in this mode and the camera will compile the photo sequence as an animated GIF image. The interface even allows you to modify the speed of the animation before saving. The perfect mode for wide landscapes, Panorama allows users to pan the camera from one side of landscape to another while the camera automatically captures the separate frames and stitches them together to for a wide panoramic photo. A scene can be interpreted in many ways, and the phones’ auto or preset modes may not always render the photo you want. For this, the ZenFone 4 Selfie offers users the most comprehensive set of manual controls under its Pro Mode. Highlights of these settings include the 32-second slow shutter (the longest in the smartphone market), a manual focus slider, and adjustable ISO setting. These manual controls make the ZenFone 4 Selfie a powerful tool for learning the fundamental skills of photography, and allowing users to creatively shoot scenes in many different interpretations. One of the most impressive features of the ZenFone 4 Selfie’s manual controls is the ability to shoot extended time-lapse videos. In this mode, the phone automatically shoots frames at preset intervals which are then compiled into a stop-motion-like video. What sets the ZenFone 4 Selfie apart is its ability to save power through a “power saving” mode in time lapse shooting – which is important as timelapse videos can consume a lot of battery power to shoot. This mode saves power by lowering the screen brightness and also allows users to switch the phone into airplane mode allowing radios to be switched off. Artistic Selfie Filters – The ZenFone 4 Selfie allows selfie photos to be enhanced with a choice of eight Instagram-like filters: Greyscale, Warm, Hipster, Retro, Faded, Nostalgic, Vibrant and Blush. To activate them simply swipe left from the interface of any of the front facing selfie cameras. Softlight LED Flash – For even better selfies in low light, the ZenFone 4 Selfie offers a soft-light flash that gently illuminates the subject’s face by delivering just the perfect amount of fill light. Unlike overly-powerful conventional flashes that tend to over expose faces, this soft-light flash softens the subject’s skin texture and brings out true skin tones. The ZenFone 4 Selfie, features an Octa-core SoC from Qualcomm, the Snapdragon 430. Paired with it is the fast Adreno 505 GPU that powers gaming experience. Powering the Zenfone 4 Selfie is a 3000mAh non-removable battery, which along with the efficient SoC makes it possible to get a superb battery back-up that lasts more than an entire day. Another notable physical feature of the ZenFone 4 Selfie is its home button that doubles up as a fingerprint sensor for rapid unlocking of the phone in 0.3 seconds, and can also be used for authentication by other apps. It lets up to five fingerprints to be registered, and it can detect them regardless of the direction of the fingers placed on it. The fingerprint sensor can also be configured to allow fingerprints to answer calls, or call specified contacts. With this, users will never have to struggle between using 2 SIM connections and using a MicroSD card at the same time. The ZenFone 4 Selfie allows two SIM cards AND a storage card to be used simultaneously. The SIM card slots support 4G connections up to 150 Mbps and the MicroSD card slot supports SDXC cards up to 2TB - the highest planned capacity for microSD cards to date. So this are some of the feature. We have lined up detailed review coming up. So stay tuned for more information. Thank you fir the reading.